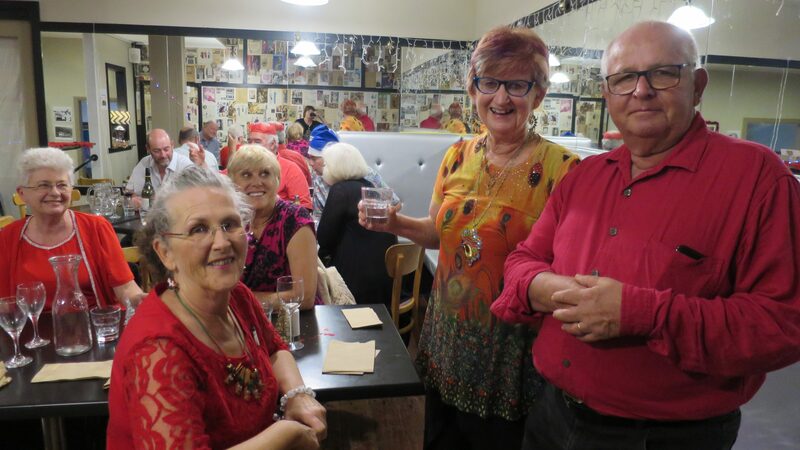 January 2019 – Narooma Rotary Club Inc.
We had ‘ a merry little Christmas’ party at Casey’s in December – a good time was had by all. I hope the holiday season has been good to you and you have caught up with family and friends. Jennifer and I did something different this year and spent Christmas and New Year on a cruise to the South Pacific. As Rotarians we have a busy time ahead starting with our informal meeting on Thursday in Quota Park followed by the annual Duck Race on 26th January and the Market on the 27th. These events will need all our support so if you can help please respond to any requests from John Doyle or Charmaine for assistance. Our first meeting back on the 7th February is a youth night. 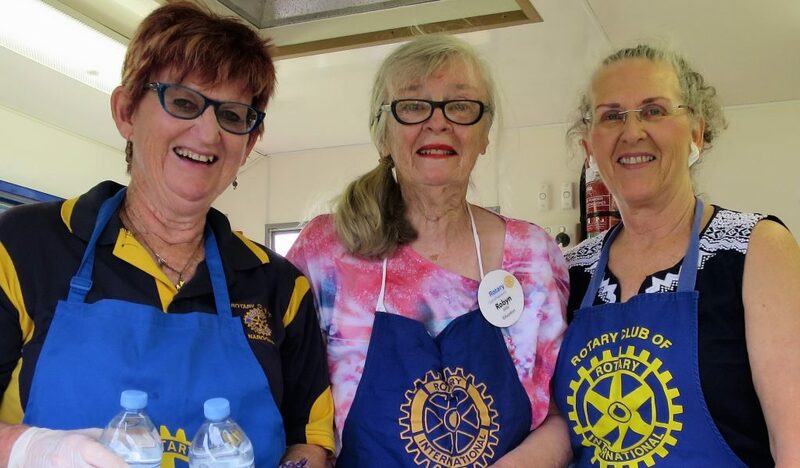 The next meeting scheduled for 14th February has been replaced with a joint meeting of Moruya, Bateman’s Bay and Narooma Rotary Clubs on Wednesday 13th February to present the Race Day proceeds to Muddy Puddles. Details closer to the event. Please try and make this night as it is one of the few opportunities we have to interact with other clubs. If we have a good response we can organise carpooling. Our first guest speaker of the year is on Thursday 21st February when Di White, the Volunteer Coordinator at Monty’s Place, will talk about the value of volunteers and the growth of support networks around Monty’s. The date of the Cinders Trivia night in Moruya is still to be finalised and preparations for the Busking Championships will ramp up towards the 25th May. Again please respond to calls for assistance from our Busking Co-ordinator, John Rungen, as they arise. I hope to organise at least one vocational visit around the time of our Pride of Workmanship presentations on 11th April. If you have any ideas for a vocational visit let me know. I would also like to organise some social events. Whew, the last five months of my tenure are going to be busy. It’s also going to be a critical time for the future viability of our Club. While not impossible, it would seem implausible that we could continue to operate without a President. I am appealing to someone to please step forward. Plenty of support is available so don’t let a lack of experience or confidence stop you. Our first get-together for the year is in Quota Park (near the Inlet) this Thursday evening for nibbles and wine (BYO) from 6pm, and then fish and chips from The Inlet (buy your own). Best bring a chair and maybe throw in a small foldup table just in case it’s needed. This will also be a chance to finalise arrangements for the Duck Race on Saturday 26th and the roster for the markets on Sunday 27th. Our Duck Race coordinator Charmaine has worked out that we should drop the 1,000 ducks off Narooma Bridge about 3.30pm on Saturday the 26th. She needs our help from 3pm to get organised. We still have tickets to sell and still need ticket sellers for some slots in front of Dalmeny and Narooma IGAs. Charmaine will fill us in on Thursday when we meet in Quota Park. Tickets are also on sale at Narooma Dental Surgery during surgery business hours. As always, the first duck across the finishing line wins $1,000; the last duck $100. Proceeds this year go towards our Tertiary Scholarship Fund for students from Narooma High. We also make donations to Narooma Surf Club in appreciation of their assistance and to Bermagui CRABS (Cancer Research Advocate Bikers) who lend us the ducks. 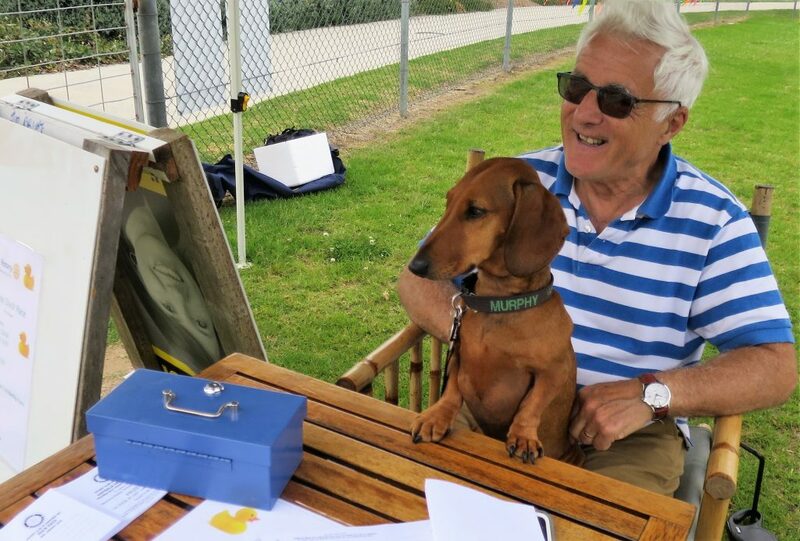 Narooma’s top ticket selling team of Murphy and Michael O’Connor at the markets. Rotary Christmas Races on Sunday 23 December were a great success, well attended and enjoyed great weather. This was a combined effort of Batemans Bay, Moruya and Narooma clubs, with special thanks to Moruya Jockey Club and its manager Brian Cowden for making the event possible. This year’s local charity that will benefit is Muddy Puddles. Chief Rotary Race Day coordinator was Batemans Bat Rotarian David Ashford. Our Club was unable to provide helpers on the day, but we contributed the proceeds of our Whale Watching Raffle ($1,735.85) , along with Michael’s efforts of selling Race Day raffle tickets ($925.90) making a total of $2,660.85 from Narooma towards Muddy Puddles. Over $1,000 worth of raffle tickets were sold on the day, thanks to Rotarians and friends and Muddy Puddles helpers. Batemans Bay Rotarians also collected donations at the gate. Raffle prize winners were: Bronwyn Geppert (Batemans Bay Rotary) the $2,000 travel prize, Chris Smith the Moruya Jockey Club Hospitality Package, Estelle Bamman of Moruya the Wallabies Jersey, Helen Spears from Albury the Chainsaw donated by Moruya Mitre 10 and Lyn Spanomanolis a Muddy Puddles supporter won the hand-made quilt. What a great markets in December! Lots of happy people and such a great vibe. Great work Markets manager Chris O’Brien and all the team who help make the markets such a success. Takings were: Gate $1,953.50; van $1,157.60 (hugely busy); wishing well $385.55; and sales of duck race tickets$ 591.00. Sandra Doyle, Robyn Miller and Lynn Hastings in the van. BBQ team of Bob Aston, John Rungen, John Doyle, David McInnes and Geoff Robin. The National Youth Science Forum (NYSF) is now underway in both Canberra and Brisbane. It’s a fantastic 12-day residential program that gives students from across Australia a broader understanding of the diverse study and career options available in science, technology, engineering and mathematics (STEM) and encourages continued studies in these fields. Unfortunately our Club has been unable to attract any Narooma students from even applying for NYSF in recent years. During the 12-day forum, participants visit science and technology related laboratories and facilities, go on site tours, listen to lectures, take part in workshops, go to social events and participate in group activities that improve communication and presentation skills. They also take part in sessions on entrepreneurship, critical thinking, how to work together effectively, and more. The focus is not solely on academic achievements, but on developing well-rounded individuals with the skills and confidence to determine their futures. Applications open soon for the 2020 NYSF. Hopefully this time some Narooma students will seize this fantastic opportunity.